Ask The Expert: How often should my dog go to the vet? If there’s one thing I’ve never heard about, it’s a hypochondriac dog. Dogs hate to be sick, and they’re terrible actors. So when something’s wrong with your paw pal, you’ll see it in his demeanour very quickly. If your dog suddenly eats less, drinks a lot more water than usual, sleeps like crazy, or doesn’t want to go for his daily walk, chances are good something is wrong. The problem though is that dogs don’t talk (well, at least not in as descriptive terms as we do), so they can’t tell us exactly why they’re feeling unwell or which part of them are hurting. Luckily, there are qualified vets who’ve studied for years so they can recognise the symptoms and offer a proper diagnosis. The golden rule is: use your common sense. If he looks a little down, it might be okay to monitor him for a day to see if he gets better. Dogs are notoriously good at handling an upset stomach with a quick vomit or one or two loose poops. But if it looks serious and you’re worried, or if the problem persists for more than a day, rather be on the cautious side and take him for a trip to your local vet. After all, when you are sick, you go to the doctor, right? Apart from episodic incidents of illness, there are, however, also certain routine check-ups and vaccinations that your dog will have to get. And these are not negotiable. 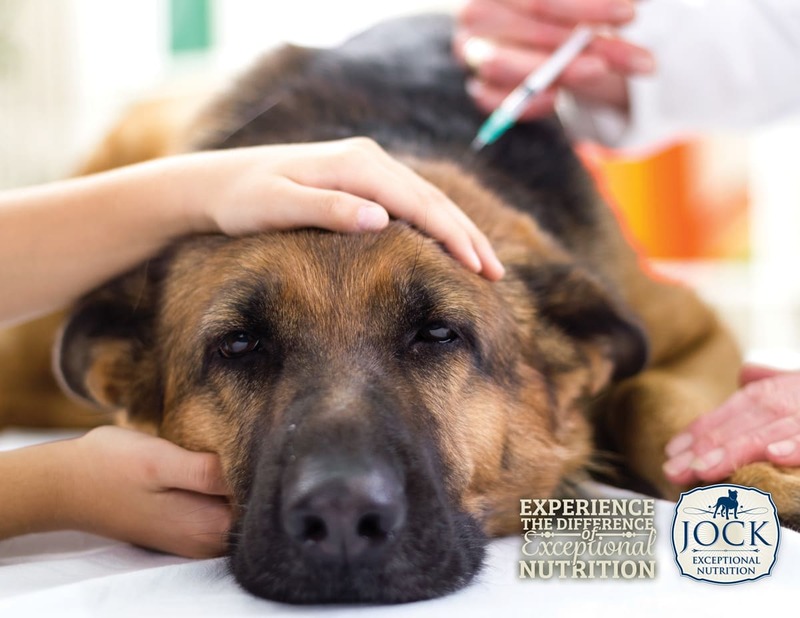 In South Africa, there is a standard vaccination programme that all dogs should follow. There are four core vaccines that all puppies get. These cover rabies, canine distemper, adenovirus infections and parvovirus infection. A vet might also give non-core vaccinations for diseases like kennel cough (most doggy day-care centres require this) and other viruses, depending on where you live and how much contact your dog has with other dogs. But don’t worry too much about the boring details — any qualified vet or animal clinic (including dog rescue centres and the SPCA) will know exactly which injections your puppy should get. Thus, depending on the age of your puppy, your breeder or rescue centre might have already made sure he or she got some of the vaccinations. Common practice is for every dog to have a little book (like a car service book) in which all vaccinations are noted by any vet. After your puppy’s first year, it should get a routine check-up every year, or even every six months to make sure everything is in order. Neutering will be recommended by your vet (normally at around six months). Routine dental checks will also be performed during these visits after which your vet might recommend a professional cleaning of your dog’s teeth to avoid any future problems. See our article “canine dental health” for more info on your doggy’s dental health. Like humans, as a dog gets older, he or she might require more vet visits as age-related health conditions arise. If you’re concerned about the cost of all of this, do remember that medical care for dogs are still a lot cheaper than medical care for humans. Nowadays there are also several pet medical aid programmes to help you cover costs — especially unexpected big events. Just make sure you do your research in terms of what is covered and what is not. Alright, now go on and take your furry friend for a walk. Good health, like life, is after all something that can never be taken for granted. So enjoy every moment while you can! https://www.jockdogfood.co.za/wp-content/uploads/2017/03/2017_03_Vet-Check-ups_-primary.jpg 927 1200 admin https://www.jockdogfood.co.za/wp-content/uploads/2017/07/JOCK-FC-Logo-Only156pxh-menu.png admin2017-03-02 08:55:332019-02-27 10:28:50Ask The Expert: How often should my dog go to the vet?